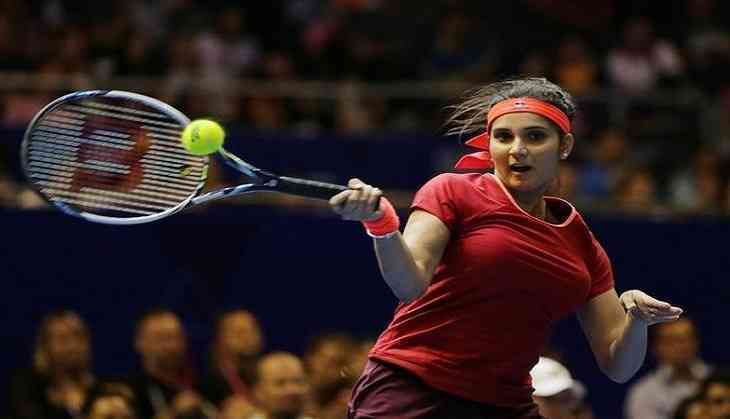 Indian tennis ace Sania Mirza and her Chinese partner Peng Shuai kicked off their US Open campaign on a winning note after they registered a comfortable straight-set victory in the opening round of the women's doubles event here on 1 September. The Indo-Chinese duo produced a rich vein of form as they swept aside Croatian professionals Petra Martic and Donna Vekic 6-4, 6-1 in a one-sided opening round clash. With the win, Mirza and Shuai have now set up a clash against the Slovakian team of Magdalena Rybarikova and Jana Cepelova in the second round. Last month, Mirza and Peng, who had joined forces at the beginning of the US Open Series, had made it to the semi-finals of the 2017 Western and Southern Open in Cincinnati before slumping to a straight-sets defeat at the hands of Taiwanese-Romanian pair of Hsieh Su-wei and Monica Niculescu. Meanwhile, Sania and her mixed doubles partner Ivan Dodig of Croatia will square off with the Latvian-French pair of Jelena Ostapenko and Fabrice Martin tomorrow.